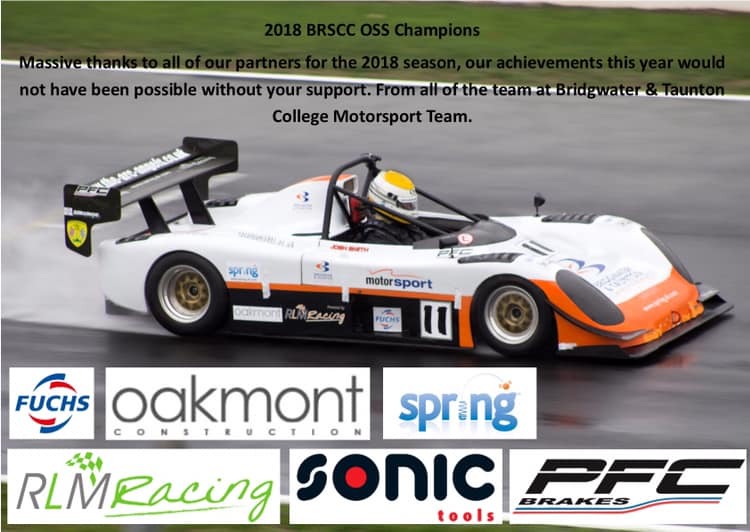 Spring has partnered with Bridgwater & Taunton College (BTC) Motorsport Team for 3 years as a sponsor, supporter and occasional mentor – including career marketing, CVs and finding a route into work after their qualification. 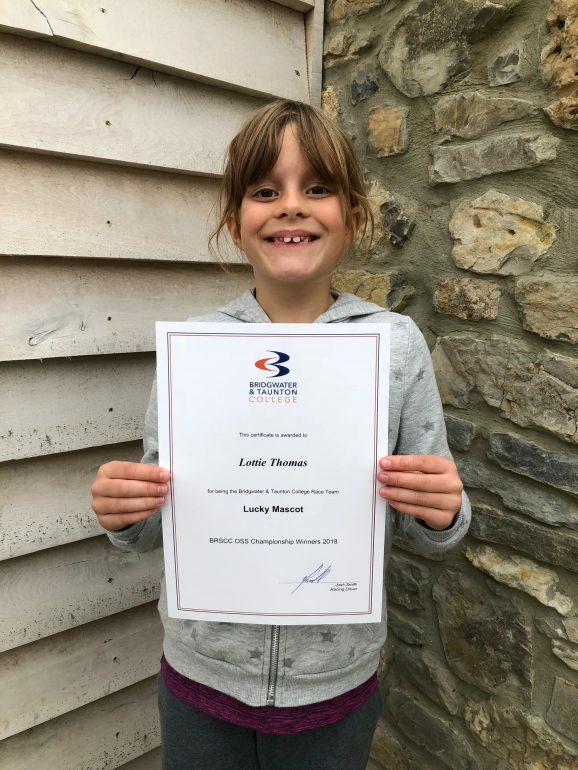 Luke Thomas of Spring lives locally and came to hear about their great work through Josh Smith their Course Leader, so got involved with his daughter Lottie as team mascot. The team develop, build and race a Radical PR6 named ‘Poppet’ as part of the various qualifications they run at the college which lead into a myriad of higher education opportunities at Oxford Brookes University plus the world of work with the likes of McLaren, Mercedes and other global race teams and manufacturers. So after multiple championship wins, it’s time to hear some more about what is making these giant slayers so successful, while working on a shoe-string budget, yet beating other teams with far more potent machinery and financial backing! Who or what got you into studying on this Motorsport Course and what do you want to use this qualification for? Kris – I completed my Level 3 Diploma in Motorsport Engineering in Northern Ireland but needed to go to England for the next level. 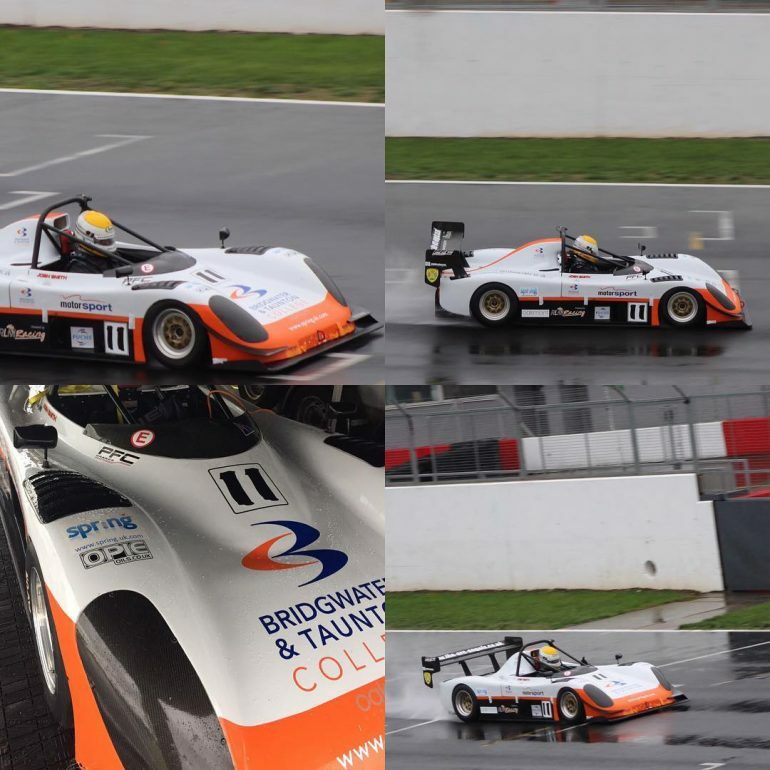 I love that BTC have a live race car in championships and I want to advance into a BSc in Motorsport Engineering. I’ve already earned placements within other clubsport teams, Formula 3 and national Radical teams. Rhys – I’ve always loved motorsport and didn’t get the chance to study anything vehicle-related at GCSE or A-Level. My next step is a BSc at Oxford Brookes and I would like to end up at a high ranking company such as Jaguar Land Rover or McLaren. Daniel – BTC was recommended to me and on their open day Josh was great at telling me how to follow my dreams. The interview process was really encouraging, everyone was friendly and I chose BTC over the National College for Motorsport. Brad – My family race, I’ve grown up in the paddock supporting them, I race and in 2016 won a Karting Championship myself so this is a good stepping stone towards a career in the industry and being the best engineer I can be. Kris – The classroom and workshop compliment each other which really helps people with different learning styles because you’re always getting to apply the theory hands on. We work on customer cars too as it all helps raise funding to race. 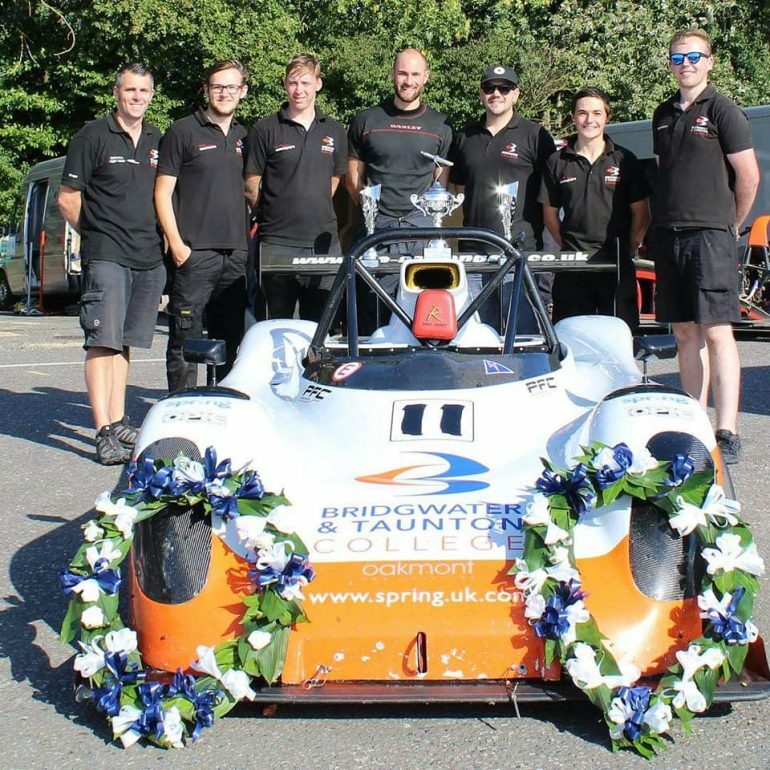 This year we got to rebuild a customer’s Radical PR6 that was shunted during a hillclimb. This was fortunate for us as we race that same car. We removed kit to transfer onto the new chassis, worked on metal fabrication and a range of diagnostic skills. Rhys – We have recently benefitted from two brand new race car bays in the workshop of superb quality including a new hoist which makes engine replacements far easier. The workshop is a clean and pleasant environment. Brad – As students we benefit from state-of-the-art facilities, helpful tutors, and excellent resources. It’s a really nice working environment. Kris – A rush. You have to be prepared for anything as we’re pushing the car to its maximum. 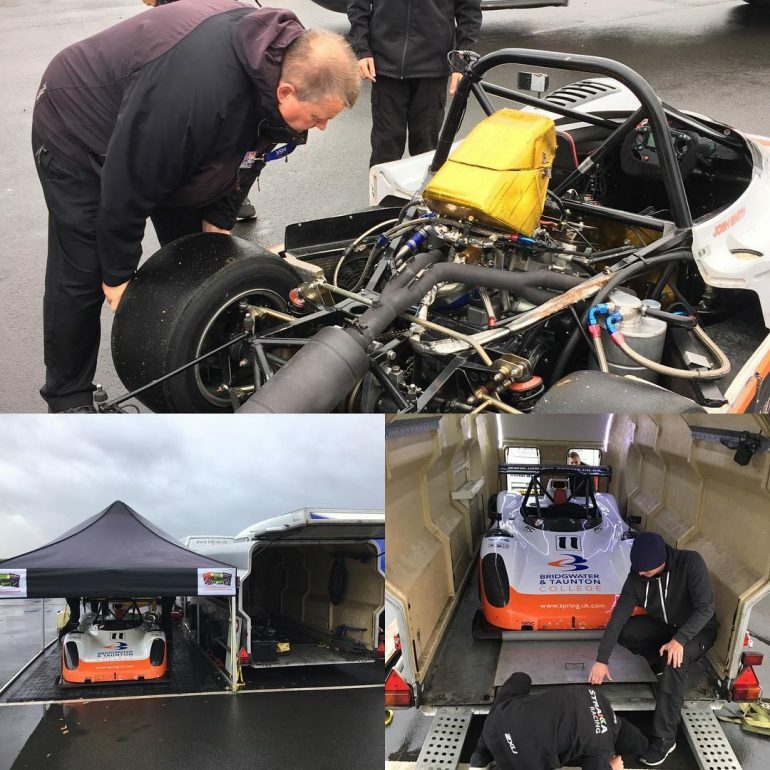 In our first race meeting at the Silverstone International Circuit we had a consistent oil leak under high engine loads which turned out to be a hairline crack in the engine block. We found a way to still limp our way to 3 wins in class that weekend! Everything we do has to be with precision as we have very limited resources. We compete at Clubsport level racing so the rules are not as strict as FIA certified championships but we keep our work ethic at the same level, to train student like they were already working in a high end team. This whole approach is helping me build my own confidence as a manager. Rhys – It can be intense, and demanding, particularly on practice days funnily enough as we have very small amounts of time to prepare. Over all it’s an exciting place to be with a positive atmosphere and the other teams/drivers are very welcoming and helpful. Daniel – Crazy, fun, exciting, nerve wracking and crazy again!! As a kid looking into the paddock I’ve always wanted to be on that side of the fence – it’s amazing to now be along side all the excitement and winning races makes it even more fun. Brad – I feel really comfortable in the paddock environment and love the buzz – it’s not something you experience by the side of a football pitch! The team continues to get class and outright wins, plus you’ve landed another championship win in 2018. Why do you think that is specifically? Kris – Our commitment. We’re made up of students who volunteer late nights to help out in the workshop. Every year we start over with new students with no knowledge of working at races but a determination to learn and a keen eye to spot issues to stay competitive and costs low. And the more trust Josh our tutor and drive has in our work and precision, the more confident he can be to push for a better position in races. Rhys – A combination of factors. Josh is a top driver who has a comprehensive knowledge of the car dynamics which means he knows how to adjust geometry or other technical improvements. We have excellent facilities and resources that allow us to get everything done. And crucially we have managed to create a team that works really well together and demonstrates a great attitude and willingness to succeed together. Daniel – The structure we use with checklists covers both the reliability and performance side of the car’s ongoing development and that repetition after each session is what keeps us fast and reliable. Communication is also key. We always talk, discuss and plan what we are doing as a team so that when the car comes in after a race or time trial, we all click into place like clockwork carry out our individual roles smoothly. Brad – I think the most important thing is that we’re all willing to help each other if someone is struggling, or where an extra pair of hands is required. We have strong relationships and morale. In summary then, the final words are from Josh Smith the Course Leader and driver who brought the car home to victory again this year: “If you stand still, you go backwards” is a mindset that I want to endlessly instil, so that they are constantly improving the car, team and myself as a driver. Unless you are winning, no-one remembers you. Great article Luke, nice to hear from the lads behind the scenes as I know hard they work! Great work from all involved this year! See you on 2019! Thanks James. Yes see you soon.